In 2001, this Texas talent released her debut single, “Cry Like A Baby”. The track created fan and industry interest, staying on the charts for 20 weeks and hovering around the Top 10. Then, as often can happen, life gets in the way. A marriage and a host of other involvements kept Worley off the scene. That is about to change. She is back. Fired with a new album in the workings and planned for 2011, Worley has released a new single. And it rocks. 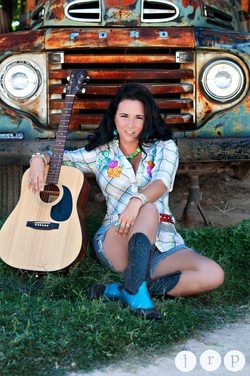 "Cowman”, penned by Paul Cook, plays out with all the energy of a Tanya Tucker and the sassiness of a Miranda Lambert, and rather than a case of out of sight and mind, this San Angelo resident has picked a comeback single sure to lure the faithful and grab some newer fans. The pumped tune declares Worley isn’t looking for a cowboy rather a cowman, someone who’ll fit the bill, not such much a wrangler-wearing cowboy with a rebel yell, but, rather, a new age range-rider: someone with a with sensitive streak and a giving heart. Pumped along with a tickled piano and a solid backbeat, Worley grabs the vocals, commanding and decisive. With her band, The Texas Train Wreck, the comeback gal is starting to gather steam. Worley is soon to be out and about. A radio tour is underway, and her Facebook page is recording a lot of fan interest. Another NAC watch and wait act.